Set 500 years in the future of a post-apocalyptic America, “Into the Badlands” combines martial arts and fantasy as it tells the story of Sunny (played by Wu), a highly trained assassin for one of the rulers in the new feudal age. In the first season, Sunny struggles to maintain loyalty to Quinn (Marton Csokas) while protecting his pregnant lover Veil (Madeleine Mantock), who also happens to be Quinn’s doctor. Within the Badlands, there is an impending war brewing between the various rulers, as well as within Quinn’s household. In the midst of everything, Sunny meets and finds himself watching over M.K. (Aramis Knight), a seemingly average boy with superhuman powers—who is pursued by those who seek to use him for their own purposes. The second season picks up right where the last season left off: M.K. has been kidnapped to train his powers, while Sunny was imprisoned and sold off to work as a slave. “I feel like the first season was more like an extended pilot,” he says. 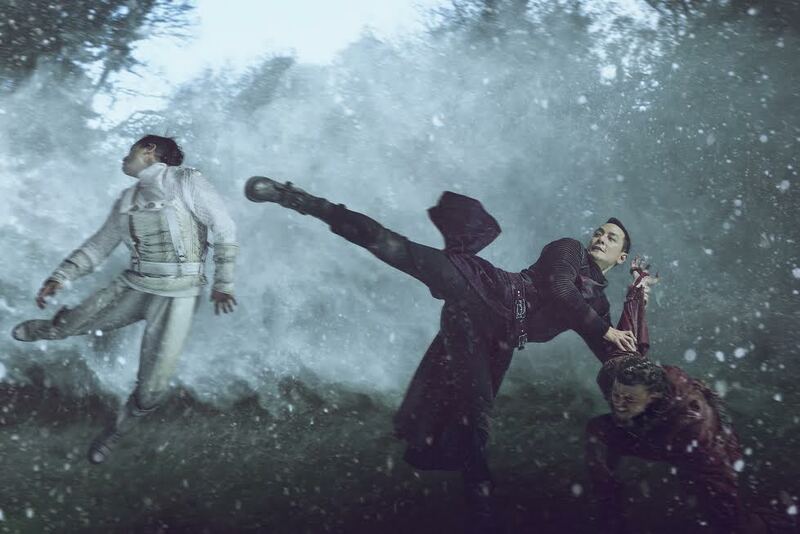 For the second season, the show was shot in the Irish countryside, creating a grander and more cinematic feel —especially with the different types of fight sequences added this season. On top of that, the show focuses more on the individual characters, each with different storylines, as they try to find each other. The diverse casting is also something Wu is proud of, though he says that it was more because of their responsibility as producers to represent diversity, rather than an agenda. “It’s not ‘Fresh Off the Boat,’ where we’re talking about Asian American issues and how that fits into modern American society. But we do talk about how to keep this show diverse by casting diversely, and having a wide range of different kinds of people playing different roles,” he says. Making good projects that draws in a mass audience, while being aware of those issues, is what Wu aims to do. The actor is currently in South Africa filming for the new Tomb Raider movie, also starring Alicia Vikander.